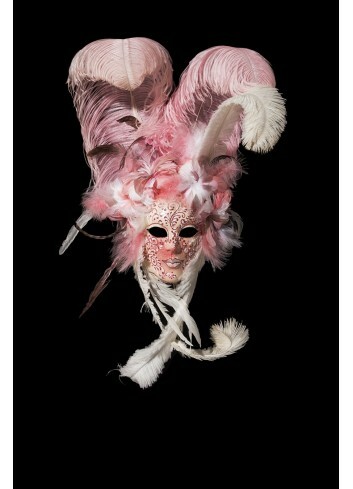 Authentic and original venetian masks for sale totally handcrafted in the city of Venice, Italy, by the famous masters. Masks are made of paper mache and decorated with high quality paints, fabrics and jewels according to the carnival tradition. In this section you can find all the traditional carnival masks that can be worn or hang on the wall as decoration. Strings are provided and as well a small hook behind the mask to hang it on the wall. All the masks are regular adult sized for men and women. For customization requests contact us we will be happy to help you. Marciana Authentic venetian mask in papier mache. Handcrafted according to the original Venice carnival tradition. Manufactured in Venice by the famous venetian masters. Each item is provided with certificate of authenticity. Plague Doctor Ready To Ship! Checked Owl Authentic venetian mask in papier mache. Handcrafted according to the original Venice carnival tradition. Manufactured in Venice by the famous venetian masters. Each item is provided with certificate of authenticity. Black & White Eye Mask Authentic venetian mask in papier mache. Handcrafted according to the original Venice carnival tradition. Manifactured in Venice by the famous venetian masters. Each item is provided with certificate of authenticity. Authentic venetian mask in papier mache.Handcrafted according to the original Venice carnival tradition. Manufactured in Venice by the famous venetian masters. Each item is provided with certificate of authenticity. Unisex Cloak With Hood Ready To Ship! Frau Joker Ready To Ship! Teodora authentic venetian mask in papier mache handcrafted according to the original Venice carnival tradition. Manufactured in Venice by the famous venetian masters. Each item is provided with certificate of authenticity. Violante venetian mask in papier mache with lace. Handcrafted according to the original Venice carnival tradition. Manifactured in Venice by the famous venetian masters. Each item is provided with certificate of authenticity. Mirabella venetian mask in papier mache with lace. Handcrafted according to the original Venice carnival tradition. Manifactured in Venice by the famous venetian masters. Each item is provided with certificate of authenticity. Vanitas authentic venetian mask in papier mache handcrafted according to the original Venice carnival tradition. Manufactured in Venice by the famous venetian masters. Each item is provided with certificate of authenticity. 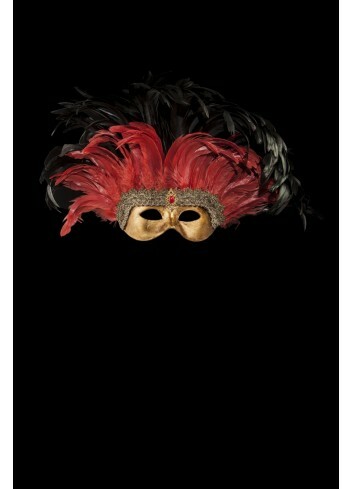 Venerando authentic venetian mask in papier mache handcrafted according to the original Venice carnival tradition. Manufactured in Venice by the famous venetian masters. Each item is provided with certificate of authenticity. Pan authentic venetian mask in papier mache. Handcrafted according to the original Venice carnival tradition. Manifactured in Venice by the famous venetian masters. Each item is provided with certificate of authenticity. 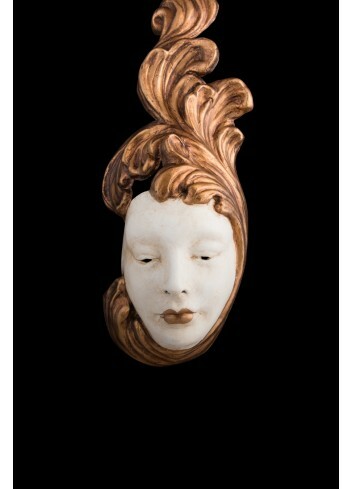 Giulietta White venetian mask in papier mache. Handcrafted according to the original Venice carnival tradition. Manifactured in Venice by the famous venetian masters. Each item is provided with certificate of authenticity. Giulietta Black Ready To Ship! Giulietta Black venetian mask in papier mache. Handcrafted according to the original Venice carnival tradition. Manifactured in Venice by the famous venetian masters. Each item is provided with certificate of authenticity. Edoardo venetian mask in papier mache with with macramé lace decorations made in Italy. Handcrafted according to the original Venice carnival tradition. Manifactured in Venice by the famous venetian masters. Each item is provided with certificate of authenticity. Giudecchina authentic venetian mask in papier mache handcrafted according to the original Venice carnival tradition. Manufactured in Venice by the famous venetian masters. Each item is provided with certificate of authenticity. Ridentina authentic venetian mask in papier mache handcrafted according to the original Venice carnival tradition. Manufactured in Venice by the famous venetian masters. Each item is provided with certificate of authenticity. Fidelio authentic venetian mask in papier mache. Handcrafted according to the original Venice carnival tradition. Manifactured in Venice by the famous venetian masters. Each item is provided with certificate of authenticity. Terror authentic venetian mask in papier mache. Handcrafted according to the original Venice carnival tradition. Manifactured in Venice by the famous venetian masters. Each item is provided with certificate of authenticity. Aquina authentic venetian mask in papier mache handcrafted according to the original Venice carnival tradition. Manufactured in Venice by the famous venetian masters. Each item is provided with certificate of authenticity. Climene authentic venetian mask in papier mache handcrafted according to the original Venice carnival tradition. Manufactured in Venice by the famous venetian masters. Each item is provided with certificate of authenticity. Clementia authentic venetian mask in papier mache handcrafted according to the original Venice carnival tradition. Manufactured in Venice by the famous venetian masters. Each item is provided with certificate of authenticity. Rosalinda authentic venetian mask in papier mache. Handcrafted according to the original Venice carnival tradition. Manifactured in Venice by the famous venetian masters. Each item is provided with ribbons and certificate of authenticity. Ventura authentic venetian mask in papier mache handcrafted according to the original Venice carnival tradition. Manufactured in Venice by the famous venetian masters. Each item is provided with certificate of authenticity. Onesta authentic venetian mask in papier mache handcrafted according to the original Venice carnival tradition. Manufactured in Venice by the famous venetian masters. Each item is provided with certificate of authenticity. 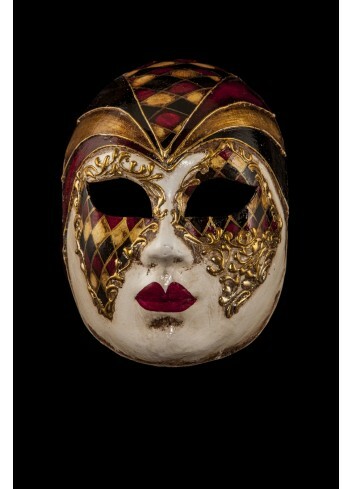 Miranda authentic venetian mask in papier mache handcrafted according to the original Venice carnival tradition. Manufactured in Venice by the famous venetian masters. Each item is provided with certificate of authenticity. 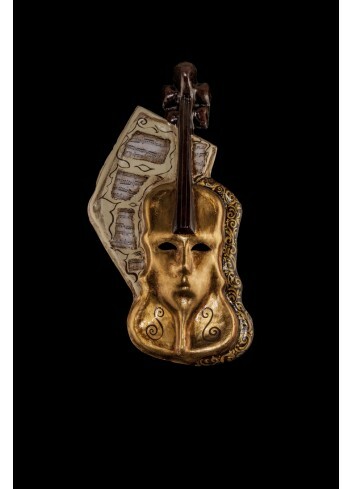 Musica authentic venetian mask in papier mache handcrafted according to the original Venice carnival tradition. Manufactured in Venice by the famous venetian masters. Each item is provided with certificate of authenticity. Augusta Macramé Ready To Ship! 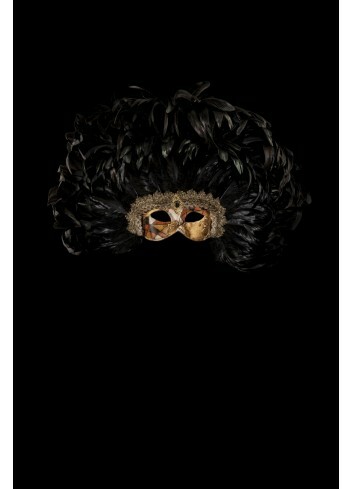 Moretta authentic venetian mask in papier mache handcrafted according to the original Venice carnival tradition. Manufactured in Venice by the famous venetian masters. Each item is provided with certificate of authenticity. Diamond Skull Ready To Ship! Phantom of The Opera (Eye Mask) authentic venetian mask in papier mache handcrafted according to the original Venice carnival tradition. Manufactured in Venice by the famous venetian masters. Each item is provided with certificate of authenticity. 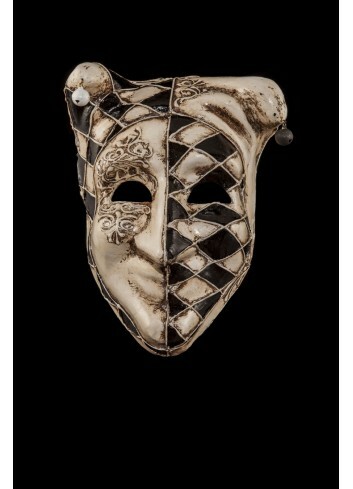 Penelope White Gold authentic venetian mask in papier mache with metal decoration. Handcrafted according to the original Venice carnival tradition. Manufactured in Venice by the famous venetian masters. Each item is provided with certificate of authenticity. Carnival Bauta authentic venetian mask in papier mache. Handcrafted according to the original Venice carnival tradition. Manifactured in Venice by the famous venetian masters. Each item is provided with certificate of authenticity. Bauta Secret Party authentic venetian mask in papier mache. Handcrafted according to the original Venice carnival tradition. Manifactured in Venice by the famous venetian masters. Each item is provided with certificate of authenticity. The masks has ribbons to be worn and a small hook behind to be hang on the wall. Venetian Bauta authentic venetian mask in papier mache. Handcrafted according to the original Venice carnival tradition. Manifactured in Venice by the famous venetian masters. Each item is provided with certificate of authenticity. Diamond Bauta Ready To Ship! Costanziaca venetian mask in papier mache decorated with real shells of the Venetian beaches. Handcrafted according to the original Venice carnival tradition. Manifactured in Venice by the famous venetian masters. Each item is provided with certificate of authenticity. Burano Lace Bauta Ready To Ship! Bauta in Burano lace venetian mask in papier mache. Handcrafted according to the original Venice carnival tradition. Manifactured in Venice by the famous venetian masters. Each item is provided with certificate of authenticity. Dies authentic venetian mask in papier mache. Handcrafted according to the original Venice carnival tradition. Manifactured in Venice by the famous venetian masters. Each item is provided with certificate of authenticity. Kaleidos authentic venetian mask in papier mache handcrafted according to the original Venice carnival tradition. Manufactured in Venice by the famous venetian masters. Each item is provided with certificate of authenticity. Black Bauta venetian mask in papier mache. Handcrafted according to the original Venice carnival tradition. Manufactured in Venice by the famous venetian masters. Each item is provided with certificate of authenticity. White Leather Rabbit Ready To Ship! Leather Wolf Ready To Ship! Nemesi venetian mask in papier mache. Handcrafted according to the original Venice carnival tradition. Manifactured in Venice by the famous venetian masters. Each item is provided with certificate of authenticity. Selene venetian mask in papier mache. Handcrafted according to the original Venice carnival tradition. Manifactured in Venice by the famous venetian masters. Each item is provided with certificate of authenticity. 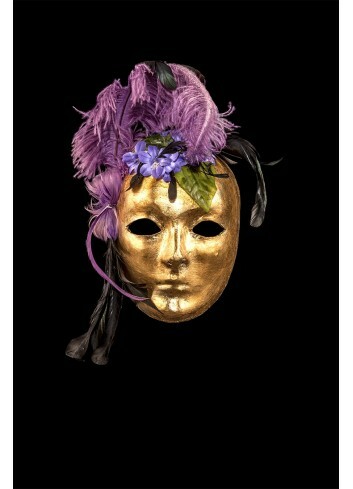 Lulù authentic venetian mask in papier mache handcrafted according to the original Venice carnival tradition. Manufactured in Venice by the famous venetian masters. Each item is provided with certificate of authenticity. 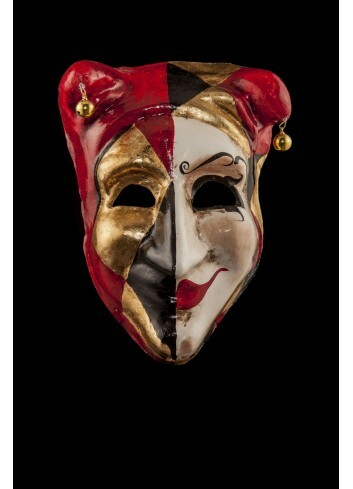 Drama authentic venetian mask in papier mache handcrafted according to the original Venice carnival tradition. Manufactured in Venice by the famous venetian masters. Each item is provided with certificate of authenticity. Curved Zanni Parade authentic venetian mask in papier mache. Handcrafted according to the original Venice carnival tradition. Manifactured in Venice by the famous venetian masters. Each item is provided with certificate of authenticity. Vivaldi authentic venetian mask in papier mache handcrafted according to the original Venice carnival tradition. Manufactured in Venice by the famous venetian masters. Each item is provided with certificate of authenticity. Diamond Plague Doctor Ready To Ship! 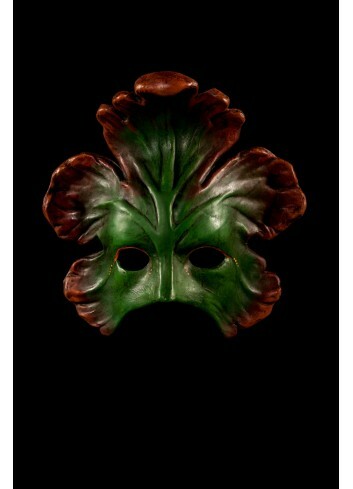 Sonetto authentic venetian mask in papier mache handcrafted according to the original Venice carnival tradition. Manufactured in Venice by the famous venetian masters. Each item is provided with certificate of authenticity. 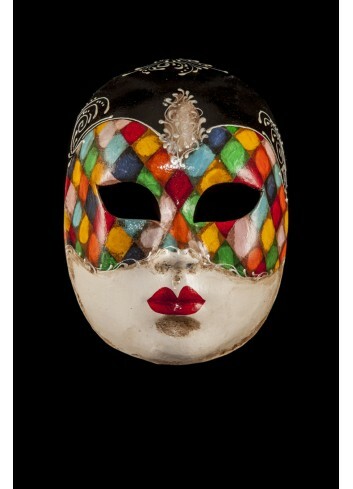 Burla authentic venetian mask in papier mache handcrafted according to the original Venice carnival tradition. Manufactured in Venice by the famous venetian masters. Each item is provided with certificate of authenticity. Celia authentic venetian mask in papier mache handcrafted according to the original Venice carnival tradition. Manufactured in Venice by the famous venetian masters. Each item is provided with certificate of authenticity.